edsa shangrila mall | Badudets Everything Nice! Last summer, I was invited to the opening of the newest branch of Jamba Juice. Health buffs can now grab a cup of their favorite smoothie at EDSA Shangri-la Mall. At the opening, I was lucky to get behind those counters and make my own smoothie. It’s one of the coolest experiences because I got to see how my smoothie is made, from adding the fruit juice and the fresh ingredients down to blending it to perfection. 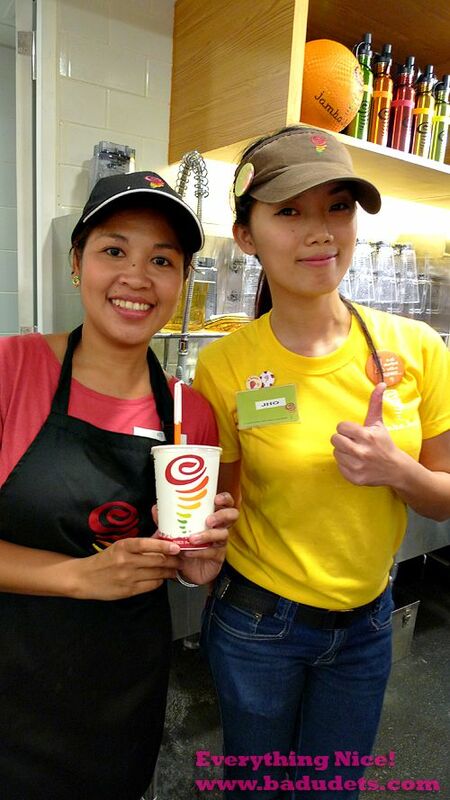 Jho of Jamba Juice, EDSA Shangri-la Mall showed me how to make by perfect Strawberries Wild smoothie.